Whoa, is it that time already? Looks like Sid Meier's Civilization VI is due for another expansion in a couple of weeks and I still haven't provided a review for the last expansion, Rise and Fall, which was released just under a year ago now. Well, I've played a few games of it (single player and multi-player) so now is as good a time as any to give it a review. The most recent entry to the venerable Civilization series was released in 2016. The game has gone through its fair share of drama including complaints about its cartoony leaders, lack of "famous" leaders, as well as severe warmonger penalties. 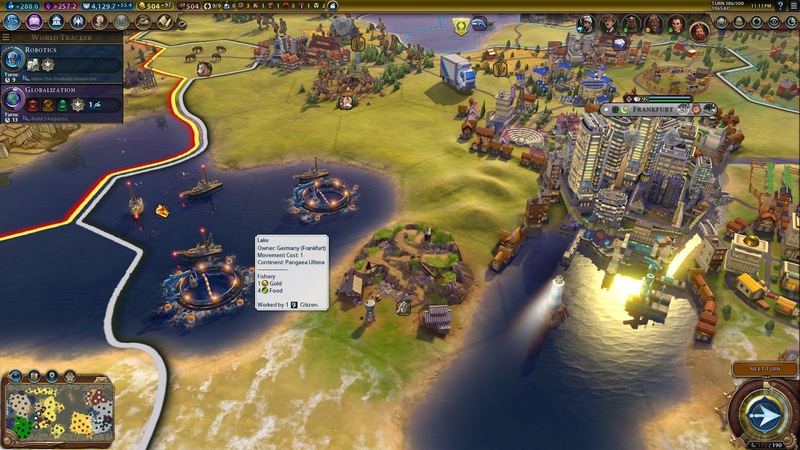 Despite the game using Civ V as its base and slightly changing some of its mechanics, many fans felt that Firaxis had gone too far and that Civ V: Brave New World was the gold standard (so if it ain't broke, why fix it?) The introduction of alleged Red Shell "spyware" back in mid-2018 didn't help either, which resulted in a concerted effort by fans to "votebomb" the game to oblivion, although the game is now back to a "Mixed" rating on Steam with 68% of the 35,106 user reviews being positive. Rise and Fall was an expansion released early last year that brought a few changes to the game including the addition of Dark/Golden Ages, a Timeline that plots the course of your civilization's history, a Loyalty system (which gives border cities the opportunity to voluntarily join another civilization), along with a whole bunch of other gameplay improvements. As you'd expect, the expansion also has a bunch of new content such as new civs, wonders, units, buildings and improvements. Rise and Fall, like the base game, has a "Mixed" rating on Steam with 60% of the 1,692 user reviews being positive. The expansion fared better with the critics as it has a Metascore of 79. I'm a fan of Sid Meier's games and the Civilization series. Since I generally enjoyed the base game, I made sure to grab a copy of the expansion off Steam. 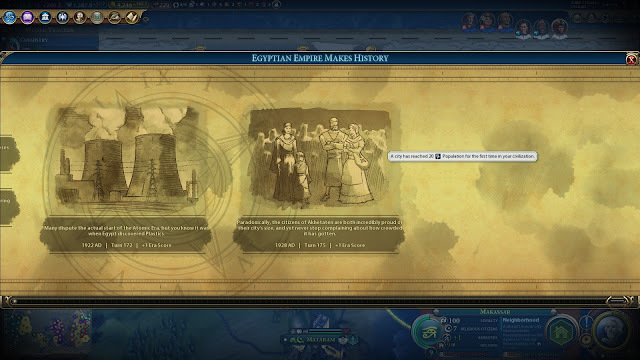 To make each game feel more like a unique journey for your civilization, the game now has a timeline feature that records all the Historic Moments that occur during the game (e.g. one of your cities reaching a high population, being the first to research a particular technology, the first civilization to meet all civilizations, etc.) These Historic Moments contribute points towards your Era Score which is used to determine whether your civilization will experience a Dark Age, a Normal Age, a Golden Age or even a Heroic Age in the next era. Generally, experiencing Dark Ages means your cities will suffer penalties to their Loyalty which means border cities are more likely to have second thoughts about joining neighbouring empires (although another new addition to the game, Governors, helps to alleviate this problem somewhat). While they don't have many unique lines, I still love the fact Firaxis went to the effort to ensure each leader speaks in their native language, even for some of the more obscure civilizations. 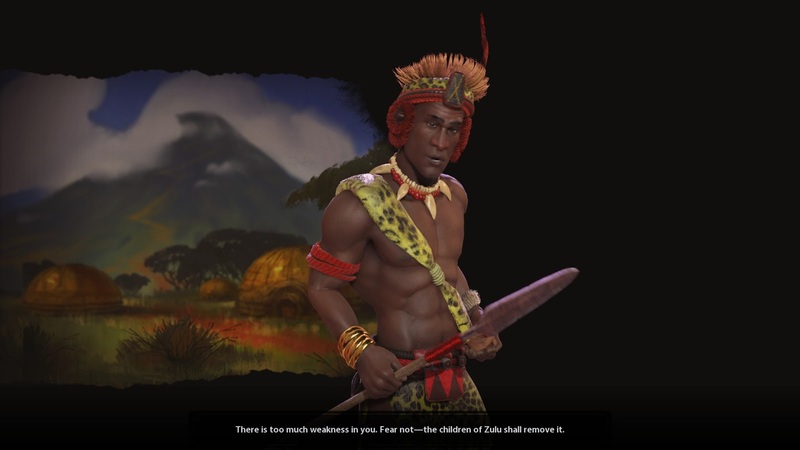 Of course, it wouldn't be a Civ expansion if there wasn't any new content; the expansion comes with 9 new leaders (including two returning leaders: Genghis Khan and Shaka Zulu), 8 new civilizations, 8 new world wonders (including the Statue of Liberty and Taj Mahal), 7 new natural wonders, 4 new units, 2 new tile improvements, 2 new districts (the Government Plaza and, my favourite, the Water Park) as well as three new resources. The game currently has a total of 191 Steam Achievements you can earn (this is from both the base game and the expansion pack). While Governors afford you new abilities like developing aquaculture, is it just micro for the sake of micro? Loyalty can be a good thing if you're a peaceful civ. It's also handy because the AI are still quite aggressive when it comes to settling new cities right next to your borders: in the base game, this was annoying and while it's still annoying in Rise and Fall, with the Loyalty mechanic, any newly settled cities that are close to another civilization's borders are likely to eventually change sides, especially if a governor isn't placed in the city and the empire is experiencing a Dark Age. So, prepare to receive free cities from the AI! However, if you want to be a warmonger and take on the world, it becomes quite difficult. Worse, if you want to start conducting campaigns on foreign continents (where your empire has no existing influence at all), it's likely you'll lose cities to revolutionaries not long after conquering them. More micro for the sake of micro? The game introduces Governors that can help you alleviate some of the issues you'll have with Loyalty, and they come with some neat benefits if you happen to upgrade them, but sometimes I wonder if the Loyalty mechanic and Governors were just added as micro for the sake of micro. i.e. you as the player feel like you have more control and you feel busier because you have to now worry about this extra layer of complexity involving Loyalty, but does it really add much to the game? The more cynical of you would say "probably not". All the issues that existed in the original game are still here and are probably here to stay because of poor design decisions: things such as notification spam and silly leader agendas are still annoying and are unlikely to ever be fixed. The game is still pretty laggy during the late-game, especially if you're playing on a larger map with lots of civs on the screen (and I didn't think my PC was that bad either). Rise and Fall is to Civ VI what Gods and Kings was to Civ V: it's not as huge a paradigm shift as Brave New World was to the previous Civ but it does add an extra layer of complexity (which some may or may not like) with the addition of new gameplay mechanics involving Golden Ages, Historic Moments, Governors and Loyalty. The expansion also brings along what you'd expect in a Civ expansion, including more leaders, more civs, more wonders and more improvements. Is it enough to make you ignore some of its shortcomings? I think so and that's why I still enjoy playing Civ VI: I'm definitely looking forward to the new expansion which is just around the corner. Is the game worth $39.95 AUD? : Yes, I think so as there's quite a bit of content here that's worth that price alone. It's even better value if you actually enjoy the new gameplay concepts they bring to the table.